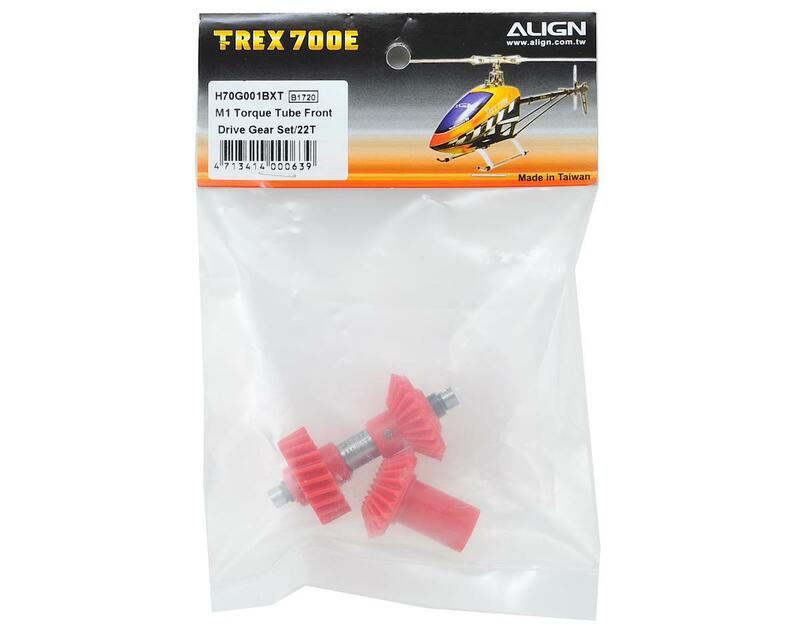 This is an optional Align 22 Tooth M1 Torque Tube Front Drive Gear Set, and is intended for use with the Align T-REX 700E, 700X, 700L and 800E helicopters. 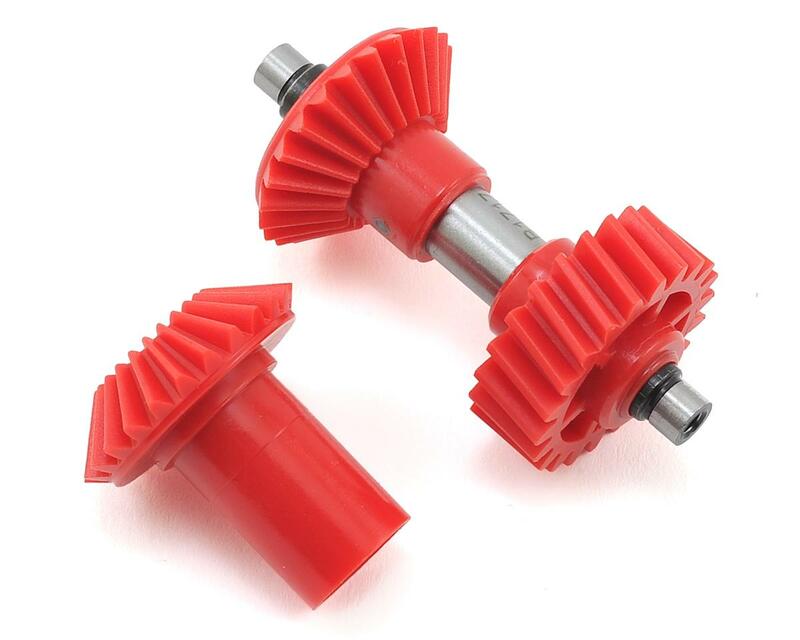 This set utilizes updated higher spec and superior anti-wear material to increase the overall strength and durability for the torque tube drive gear. This helps minimize gear striping and crash damage. Suitable for use with the 104T M1 Autorotation Tail Drive Gear Set (AGNH70G007XX).